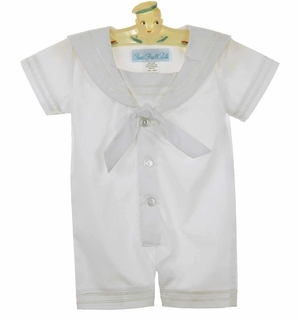 Made by Swea Pea and Lilli, the heirloom collection of Lito, this adorable little all white cotton blend sailor suit has a traditional sailor collar and short straight sleeves trimmed with white braid. 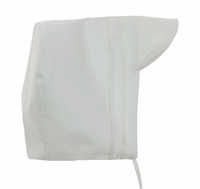 It has a removable fabric sailor style tie. This is such a sweet little sailor suit for your baby boy! 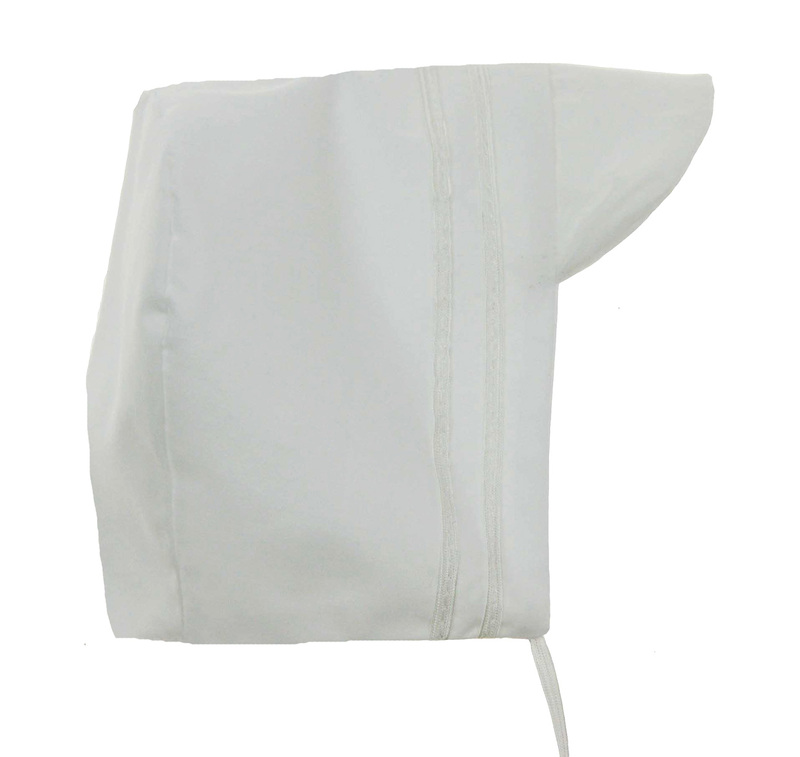 Perfect for his baptism, christening, or dedication, too! 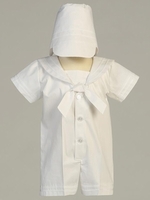 Grammies Attic has the largest collection of infant and toddler sailor suits and sailor dresses you'll find. 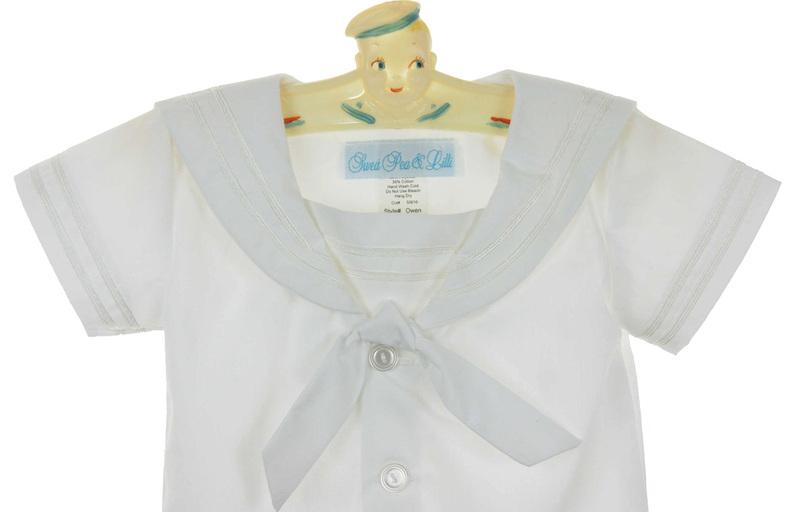 Be sure to see all our sweet baby sailor suits, toddler sailor suits, baby sailor dresses, toddler sailor dresses, little girl sailor dresses, baby sailor hats, toddler sailor hats, and children's sailor hats.